Our infrastructure portfolio for SAP HANA just got stronger. Today we have great news! 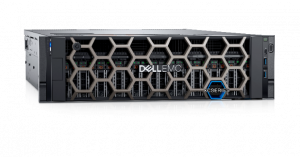 Our SAP HANA certified infrastructure portfolio has grown to include running SAP HANA in production on Dell EMC hyper-converged infrastructure (HCI). Since the 2011 release of SAP’s market-leading SAP HANA platform for real-time computing, adoption has grown to 25,000 customers. With the pending end of maintenance and support for SAP Business Suite 7 applications in 2025, customers are looking to move to S/4HANA. Since its launch in 2015, licensed customers for S/4HANA has grown to 8,900 in Q2/18. Dell EMC has partnered with SAP since the release of SAP HANA in 2011, when they announced the HANA Appliance model for targeted workloads. Since then, our portfolio has expanded for SAP’s Tailored Datacenter Integration (TDI) deployment model for SAP HANA. The SAP TDI model enables customers to lower the TCO by deploying SAP HANA as part of your shared IT model. Similar to our investments for Dell EMC servers, storage and converged systems, Dell EMC solutions and engineering teams worked closely with SAP to test, validate and document our configurations meeting SAP HANA performance KPIs for our HCI infrastructure. Dell EMC HCI—in particular, VxRail— is architected to support in-memory database applications such as SAP HANA, with features such as Intel® Xeon® Scalable processors including high-memory options; Dell EMC PowerEdge servers designed for software-defined storage; next-generation future proofing technologies, such as NVMe cache drives; and powered by the leading HCI software, VMware vSAN and VMware vSphere. Our ultimate goal is to deliver the most seamless package of HCI software and infrastructure on VxRail, powered by VMware. 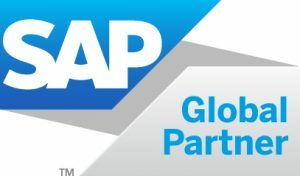 Specifically, SAP has certified Dell EMC VxRail P-Series all-flash (P570F), powered by VMware’s HCI software platform (VMware vSphere and VMware vSAN) to run SAP HANA on HCI for production. In addition to VxRail for SAP HANA running on HCI, we have even more news! We understand that SAP provides customers choice for HCI software platforms including Nutanix. For SAP customers choosing Nutanix, Dell EMC XC Family also has achieved certification. With both VxRail and XC Family, Dell EMC delivers a fully engineered, hyper-converged infrastructure solution that enables businesses to innovate faster and accelerate IT operations. Agility―A modern SAP landscape management experience that delivers automated provisioning capabilities for SAP applications including SAP HANA and provides a faster time-to-value. Engineering―Compute, networking, and storage components that are integrated with the specified prerequisites, and dependencies that have been tested to deliver a seamless solution experience. Optimization―Design and deployment guides that highlight proven performance, automation, and resiliency best practices for SAP landscapes including SAP HANA. If this topic is top of mind for you, I encourage you to visit the Dell EMC Booths and meet our experts at SAP TechEd 2018 in Barcelona or talk to your Dell EMC account rep today. We’d be happy to discuss the benefits of SAP HANA on Dell EMC HCI, as well as our broad Dell EMC portfolio of solutions and services that are ideal for any customers’ infrastructure needs in SAP environments.